The DHCP ( Dynamic Host Configuration Protocol ) is a network protocol that is used to centrally manage and automate the assignment of Internet Protocol (IP) addresses in an organization's network and configure network devices so that they can communicate on an IP network. Nsauditor Dhcp Explorer tool allows you to discover DHCP ( Dynamic Host Configuration Protocol ) servers on your local subnet or LAN. This is useful for locating servers that are not supposed to be on your network ( rogue DHCP servers ) as well as checking the expected output of known servers. 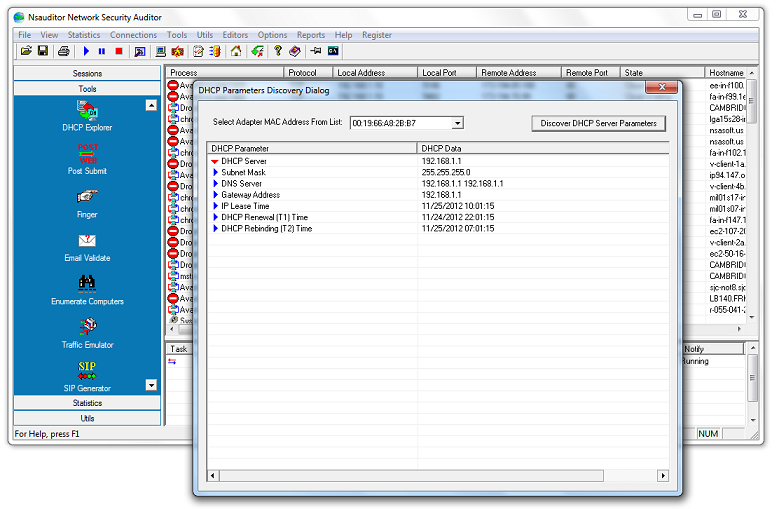 DHCP Explorer broadcasts on the local physical subnet to find available DHCP servers. The tool is designed with a user-friendly interface and is easy to use. 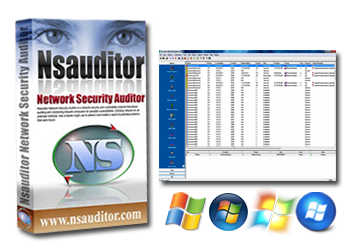 Nsauditor Network Security Auditor - Advanced All-In-One Network Security Auditing Tools Suite, includes more than 45 network tools and utilities for DHCP auditing, network security auditing, network scanning, network monitoring and more. Only $69.00 to get All-In-One Network Security Auditing Tools Suite, includes more than 45 network tools and utilities for DHCP auditing, network scanning, network monitoring and more.